Our mission is to assist with regaining dignity and quality of life, utilizing the latest urological technology with excellence, compassion and competence. 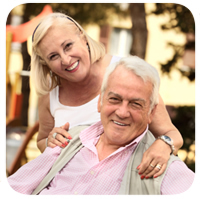 Continence Care Group specializes in the evaluation and treatment of Urinary Incontinence. We provide on-site diagnostic evaluations for residents of long-term care and assisted living facilities. Our evaluation procedures, essential for effective treatment, address various types of incontinence. Our Nurse Practitioners are trained in all clinical aspects of evaluation and treatment.